If you want to make maps for the game, you need look no further than this forum! I've been holding this map for months (maybe a year) now. It has just been collecting dust for the longest time, and if I don't do this now, I never will. The whole map is roughly the same size as the current Arena. The Arena itself is slightly larger than the current one. Images are taken within editor, so trees look incomplete. There is elevated ground to the left for the Statue of Memories. Will take off if unnecessary. Lighting is also incomplete. Waiting for word from Dev about it. I don't know if I'll ever get around to doing these things (Busy and lazy). 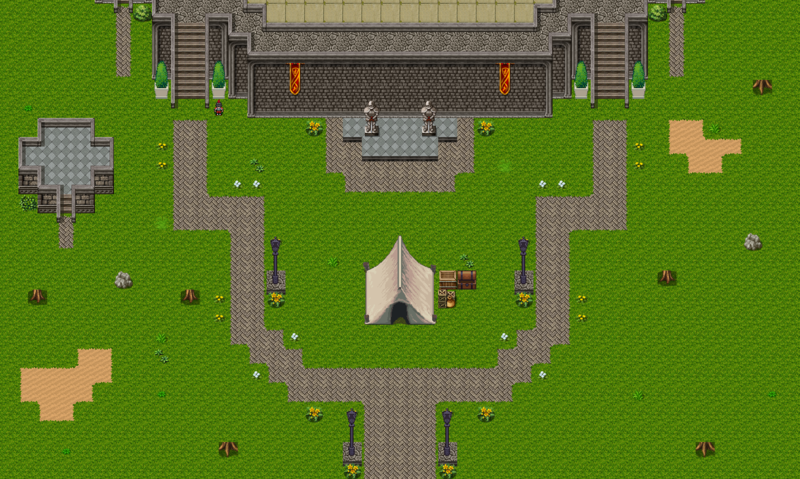 If wanted bad enough, someone provide me a tileset for the tent interior and a world map icon for the Arena. Last edited by LatentSparrow on Sun Apr 14, 2019 5:44 pm, edited 1 time in total. It already looks so amazing. Keep up the great work! Your resident Bipple requires you to..
My only issue is how central Remedia's tent is. I personally feel it would be better to have it off to the side instead and place a social area where it is currently. Many come to the arena to simply socialize, which this new arena doesn't have much of an area for, judged from those pictures. You could potentially even move the infirmary inside the arena to make it closer to where the battles are going to take place. Looks good, I have to agree with Mark here though, the tent should probably be moved off to the side, and the center can stay as the mostly social area. Looks very good though I like it! I kind of like it as is. Many people do come to the arena to socialise but this will perhaps give more incentive for people to use a different spot. Perhaps there may be a good interaction place inside, instead, but it looks more aesthetic where it is already. Those stools could be replace with benches! Also Dev it would be a really awesome if pvp fights could happen in the middle that would be amazing where it feels like a tournament deal. I'd say that Remedia's tent is better off where it currently is, and if necessary, put a small campfire site off to the southeast. It's an Arena, so having more seats where people can see the fighting would make better sense than making another central social area. Otherwise, it looks good so far, and I'm hoping to see more. To make less of one of the two most popular places to socialize in the game is a huge mistake in my opinion. From the middle, people would be able to look into the arena if fights were happening in there, instead of being forced onto the walls. Another concern is that the first thing you see when you enter isn't the glorious Badlands arena, but the tent where people are treated, which detracts pretty massively from the awe of being there. It simply obstructs too much for a place people would naturally want to be: The center of the field, like they always have. I'm going to hazard a guess and say Tarson is going to be located between the two statues against the wall. If that's the case, that's all the more reason to move the tent off to the side instead, or make an infirmary inside the actual arena. I have mixed feelings about the tent spot, but I feel like it just doesn't look good if moved from the center. However, I'll move it if enough people back that statement. The other issue is with how many people (ICly) complained about no fights going on at the arena when it was just being a social center. Also, I'm not sure if people would like going into the arena every time to just OOC heal if the infirmary was indoors. 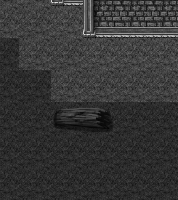 I could do that, however I can't really see where the invisible seat object would lock the character in place while testing the game. Should be easy enough to add. Also, thanks. From the sound of it, I guess I'll go ahead with making the interior to the Arena. 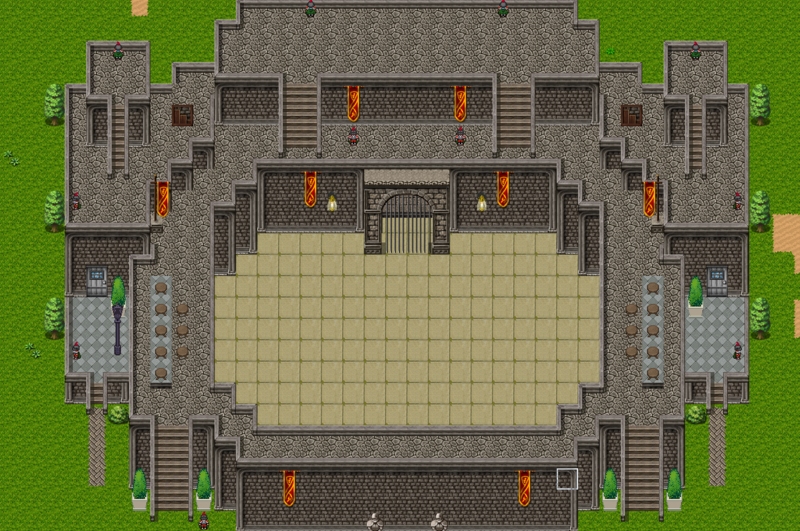 What I originally had planned was for when players PVP'd indoors, it would send them into a arena style battle map. I think it would be also cool to be able send players into the arena to fight if the challenger to the PVP match was standing on the Arena walls. Don't know if it's possible though.